The range of the Rio Grande turkey mostly covers the the dry and semi-dry scrub areas in the southern parts of Great Plains, the west of Texas and the north-east of Mexico. This subspecies has also been introduced into Nevada, Oregon, Washington, Wyoming, Utah, South Dakota, and California. Most hunting opportunities are in Texas, Oklahoma, and Kansas. The price of Rio Grande turkey hunt starts at $600-$700 for a two or three days, one or two turkey limit hunts, and may go up to $1,500-$1750 range with more days of hunting and better trophy opportunities. Is a turkey hunter required to possess only the latest of the guns, ammo, etc., or does the traditional gear and attire work? Our guest blog post takes you turkey hunting with a 100-year-old shotgun, and with its “feel like I’ve been there” quality, it gives an accurate description of what turkey hunting is for those who’ve never been there, and entertain those who have. When to hunt Rio Grande Turkey? The spring season for Rio Grande turkey may start as early as late March and end in mid-May, but mostly falls on April. The fall season typically covers a few months from September to December depending on the state. Hunting Rio Grande turkey is not too different from hunting other turkey populations. The main method is calling. Today turkeys are so abundant that hunters don’t always have to scout for a gobbler before trying to attract the bird in range, but may even call from ground blinds built in areas where birds are known to frequent. Decoys are often used to distract the attention of the birds away from the hunters. Rio Grande turkeys can often be seen in the open, so a hunter can spot the tom from the distance and stalk them. Rio Grande turkey is lighter in color than the eastern subspecies, but darker than the western populations. It’s not the biggest subspecies of wild turkey, with males seldom growing bigger than 20 pounds, but has long legs and sharp spurs. 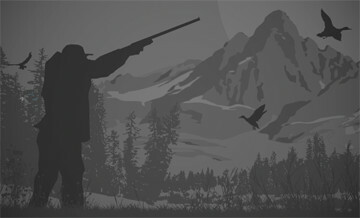 With its open and wide-spaced habitat, a hunter must be more active and focus on the “run and gun” tactics, which attracts those who are somewhat bored with sitting in a bling. Rio Grande turkey is not only an essential part of any turkey slam, but an exciting hunting quarry in its own right. We have held to high standards on managing our properties for trophy birds for almost 10 years and it shows! We only offer a limited number of hunts each season on thousands of acres of private leases which allows us to maintain a 100% opportunity rate and very high success rates on mature birds. This 1x1 package includes guided hunt on private land, game removal/bird cleaning, taxidermy preparation, transportation to and from our lodging, Tips and techniques from our Guides. The package on 2x1 basis will cost you $1600. It is great fun and we have huge birds and an amazing time on the spring hunting turkey. It has become hard to book a full season these days as everyone has turkeys at home and doesn't want to pay to hunt them...all I can say is you are missing out! This is a great trip and great hunt – bring a group of friends and see how fun (and how much better) turkey hunting in the Midwest can be. Tags are available upon arrival (around $250).